Gladwell Orthodontics is a name that is synonymous with Wake Forest, North Carolina. For years, Dr. Jason Gladwell has worked very hard to build his practice in the northern part of Wake County. Whether you go to Wake Forest High School football games or drive down Highway 98 in the morning, you have likely seen the GO logo for Gladwell Orthodontics. Dr. Jason Gladwell is one of the only Super Elite Invisalign providers in the entire state of North Carolina. This means he has worked with thousands of patients with the “invisible aligners” method of straightening teeth. In 2017 and beyond, there is a strong likelihood that many dentists and orthodontists in Wake County and throughout the Triangle are going to attempt to push Invisalign as a treatment alternative to braces. Unfortunately, these dentists and orthodontists simply don’t have the experience of Dr. Gladwell and his staff. When going into Dr. Gladwell’s very modern office, you will find there is a Charity Coffee Shop, a video arcade and the opportunity to use their wifi. This is all before you actually get into the true office. The staff is extremely friendly and Dr. Gladwell takes the time and effort to allow you to understand your options from metal braces to Invisalign. While Dr. Gladwell is North Carolina’s Invisalign expert, he does understand that not all patients will want the clear aligners. If you are seeking metal braces or clear braces, there are options available. If you have any specific recommendations, Dr. Gladwell is always willing to take your thoughts into consideration. Another great thing about Gladwell Orthodontics is the location. 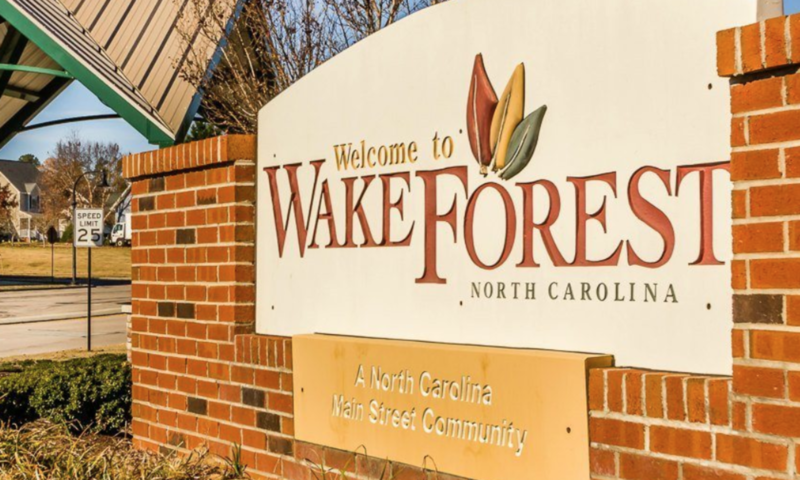 The office is located very close to The Factory in Wake Forest. This means your children will have the opportunity to go ice skating, to a party or simply shop around for some trinkets or toys. If you are looking for specific shoppes or stores in the factory, do not hesitate to reach out to us as we have a thorough understanding of the options available in The Factory. We will likely write some reviews and articles explaining what shoppes and boutiques are open on a daily basis in The Factory. Working as an orthodontic assistant allows me to really get to know our patients on a personal level. I love to see the confidence boost in our patients when they walk out of our office with a beautiful smile! We are one big family here at Gladwell Orthodontics. We have great teamwork and always have a good time!